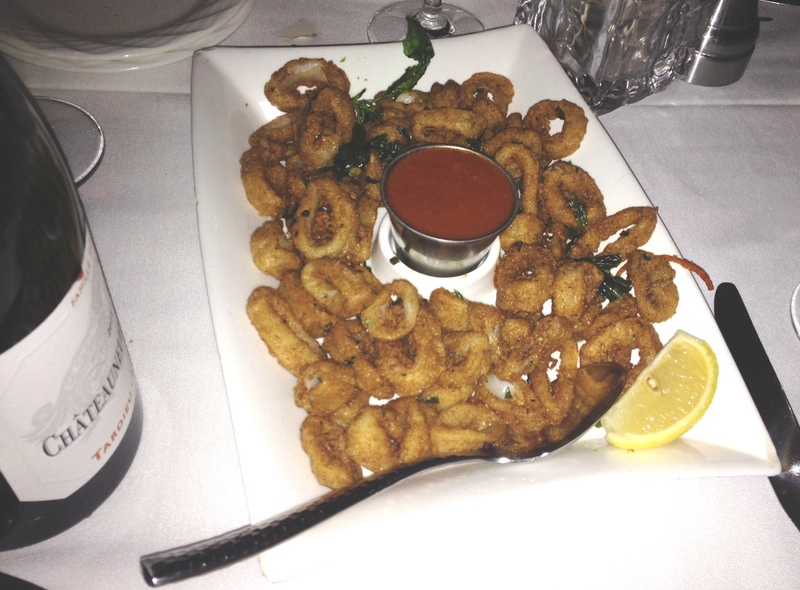 I had the pleasure to dine at The Seafire Grill om East 48th Street in Manhattan on a cold winter night . My husband and I were meeting another couple and chose this midtown restaurant for its prime location. Immediately upon arrival the hostess smiled and promptly showed us to our table. We had the pleasure to sit very close to a wonderful and romantic fireplace illuminating this lovely space. The waiter promptly greeted us and went over drink specials and recommendations. I was amazed how many people are working at The Seafire Grill and how they all are attentive and busy but make sure you are truly pleased and happy from start to finish. and jumbo lump crab cakes. 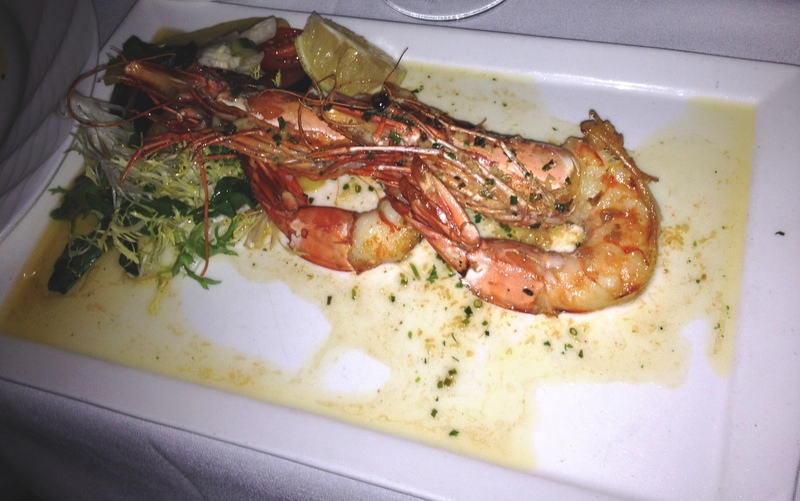 We all agreed that the start of our dinner was quite tasty with the freshest seafood and wonderful presentation. Since this is a dining venue specializing in seafood we took full advantage at the start of our meal. 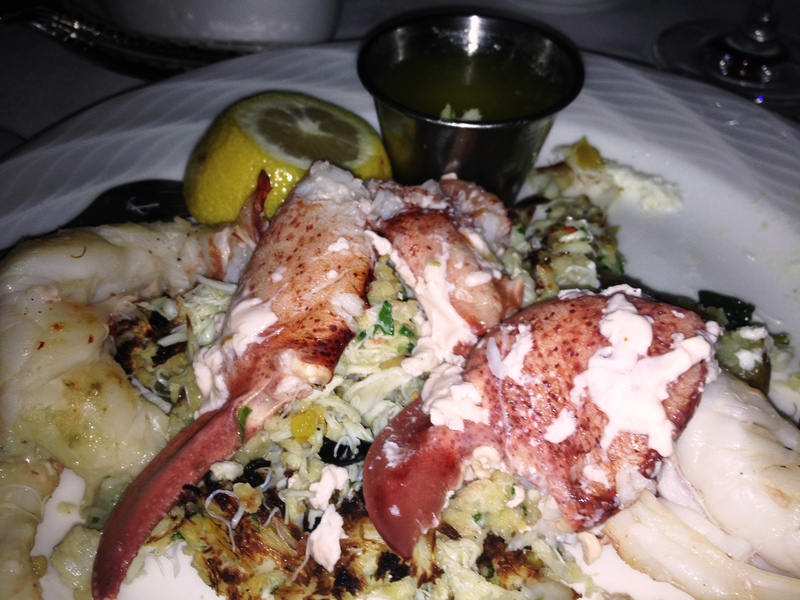 I had to then try the whole Maine lobster stuffed with crab meat. The waiter opened the lobster for me so that I did not have to fuss. Quite a nice touch. 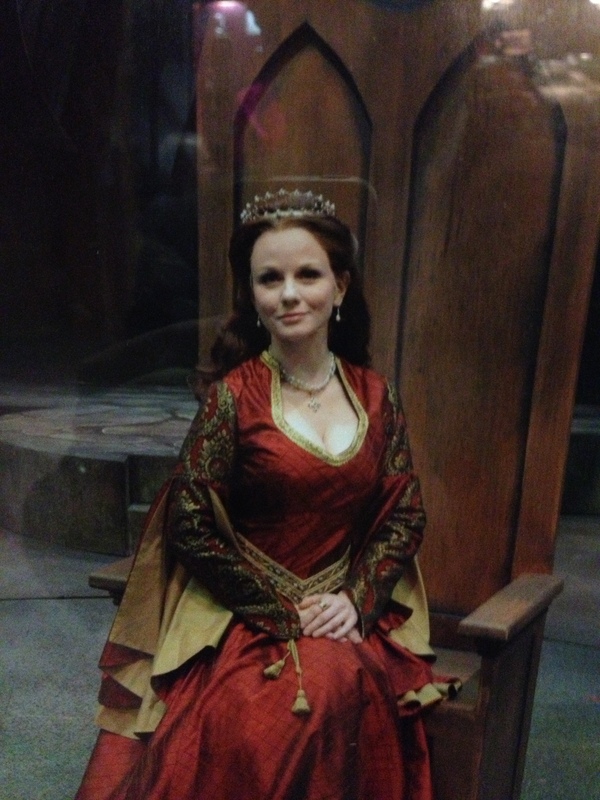 I adored the meal and had plenty left. My husband ordered the surf and turf with filet migon and lobster tail. 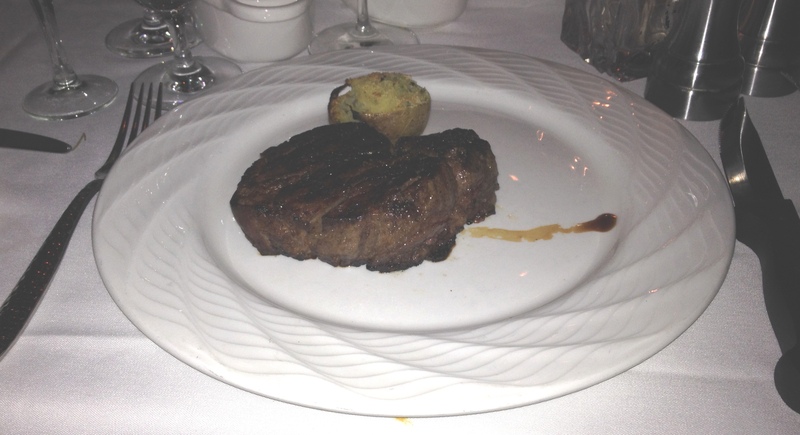 The steak melted in his mouth with a perfectly cooked and succulent lobster tail. 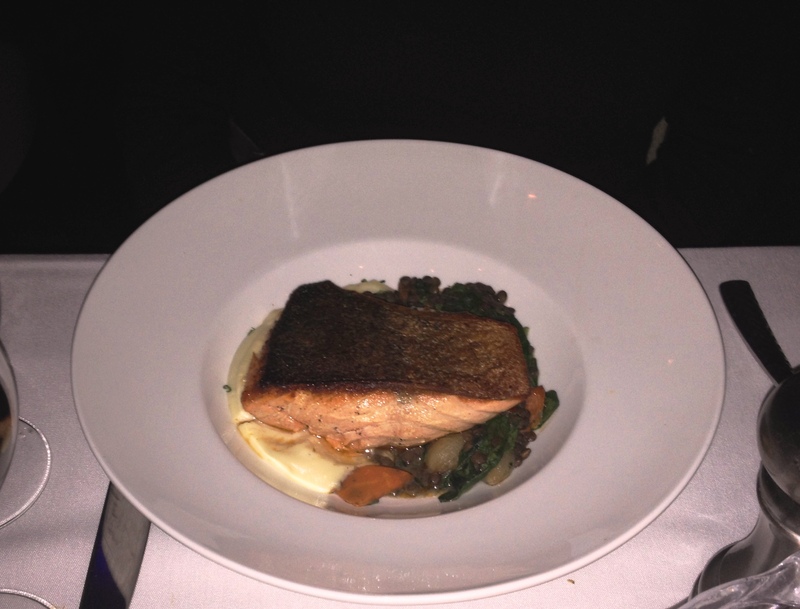 My friend tried the organic Scottish salmon with fresh lentils and her husband chose the rib eye steak. Both reported that the meals were outstanding. We also tried an order of lobster mac and cheese for the table as well as baby kale with fingerling potatoes and goat cheese. I have to report that the lobster mac and cheese was so good that we fought for the last bite. The vegetable combo was good as well. I did not think we had too much room for dessert but my husband and I managed to share the molten chocolate cake with ice cream. 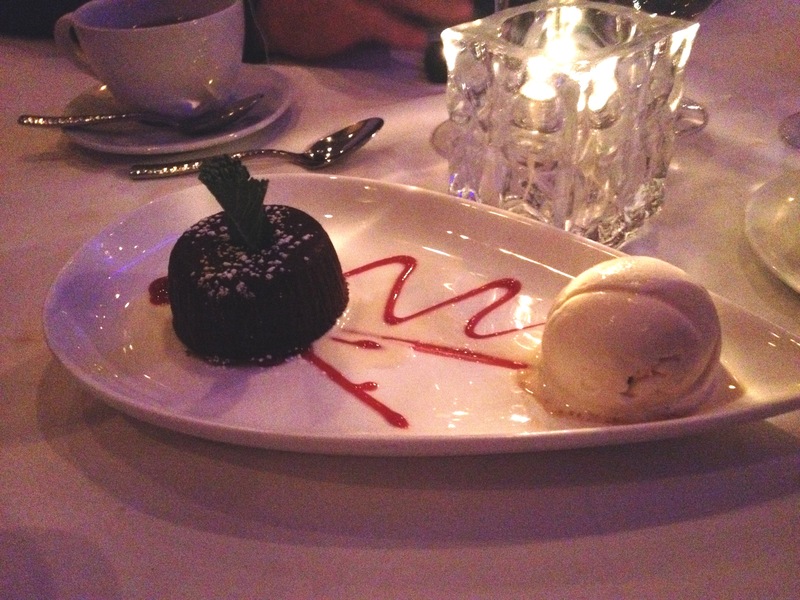 This was a perfect ending to a perfect meal! are all dry aged and the restaurant is owed by the same people who own Benjamin Steakhouse.I chose the seafood as this is my favorite but feel free to order any meats as the preparation and taste is outstanding as told by the others in my party. The space is sleek and modern with a romantic feel at the same time. The lighting is lovely and really sets the mood. I can’t finish this review without saying how precise and top notch the staff is. If you want to try an amazing restaurant in New York City with great food and high end service for any occasion this is the one! I can’t wait to return. Westchester County residents have a wonderful cultural resource right here in mid-Westchester. The Westchester Broadway Theater in Elmsford offers first rate performances year round and as a bonus you can enjoy an excellent meal right from your seat. 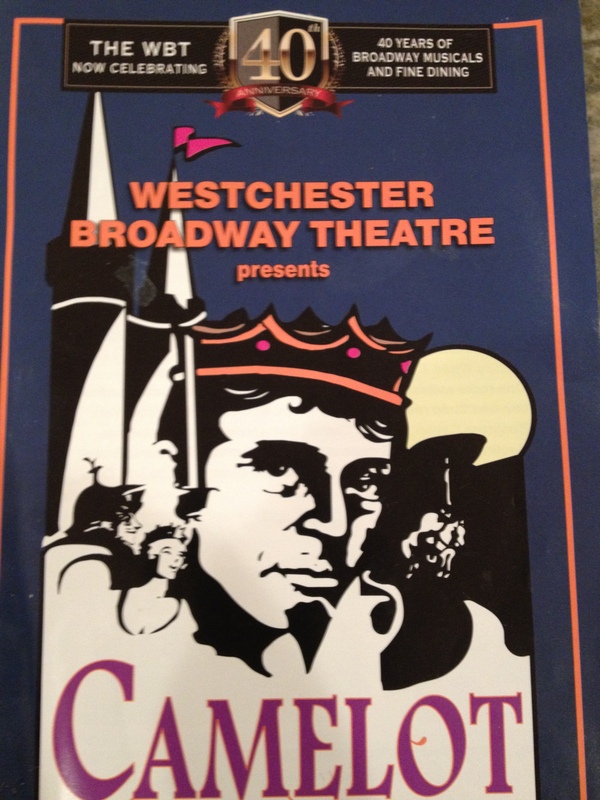 The current offering from WBT is Lerner and Loewe’s “Camelot” which first opened on Broadway in 1960 and ran there for 3 years. The production which just opened is scheduled to run through April 5th, 2015 is one not to be missed. The lighting, sound, direction and set de sign are all first rate. Every seat in the house offers a fine view of the play. Camelot takes place in England during the time of King Arthur and the Knights of the Round Table and tells the tale of Arthur, Queen Guinevere, and Lancelot and their love triangle. The role of King Arthur is wonderfully performed by Clark Scott Carmichael who has previously been on Broadway in Jumpers, and has had numerous roles on television. 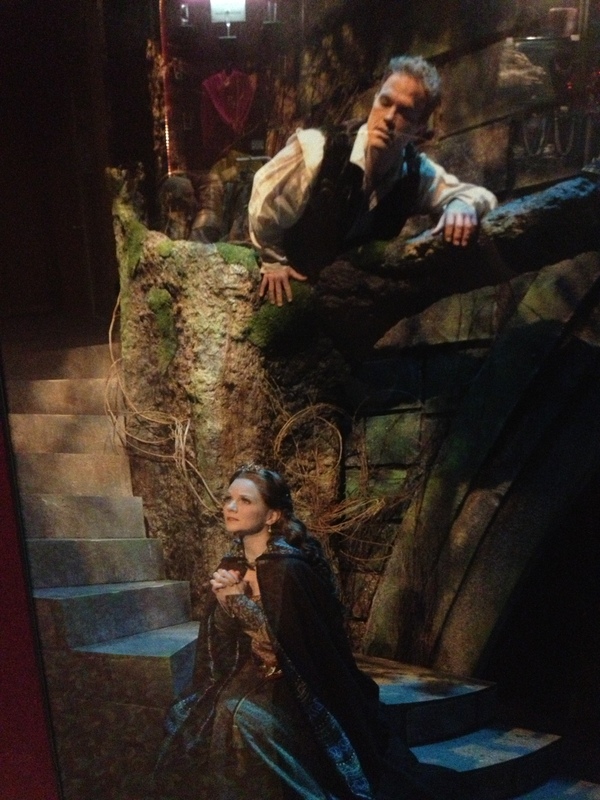 The role of Guinevere is played by Jennifer Hope Wills who has appeared on Broadway in Phantom of the Opera for 4 years, in Wonderful Town and Beauty and the Beast as well as numerous regional productions. 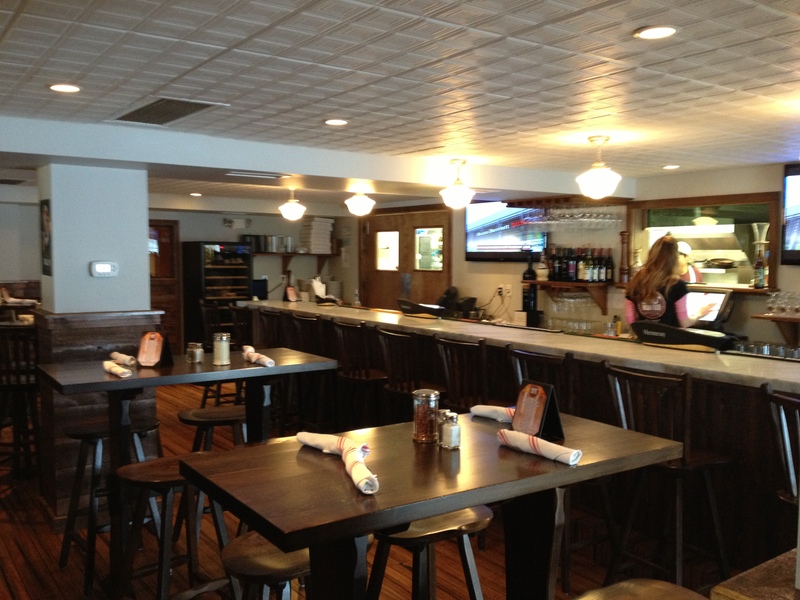 I visited 850 Degrees in Ridgefield, Connecticut on a cold night and was quickly drawn to the lovely space with a marble long bar and warm wood custom made seating from Hunt Country furniture. 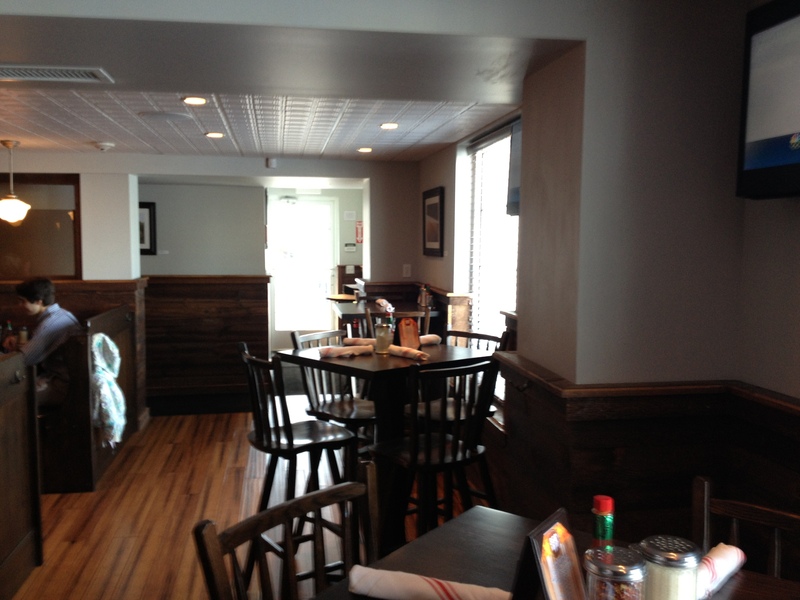 You feel as if you are in a country tavern in Vermont, not in downtown Ridgefield. 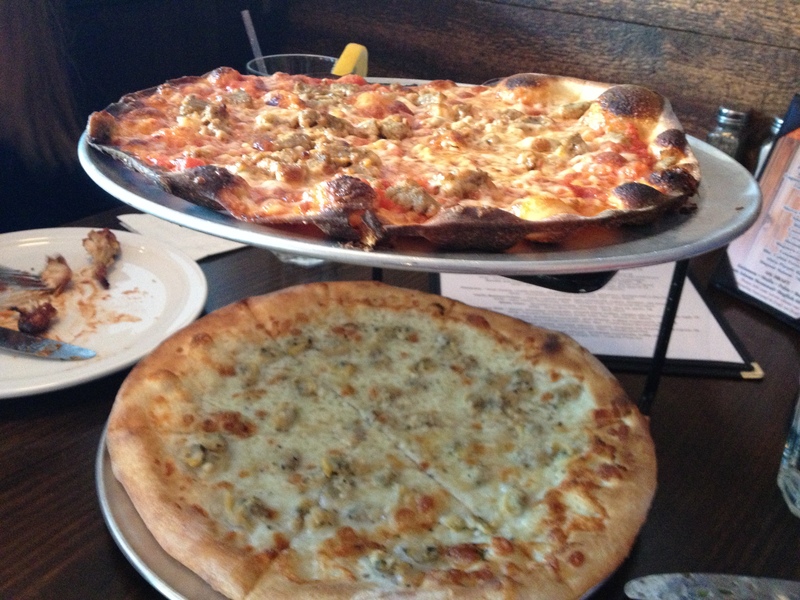 This is definitely not your average pizzeria. 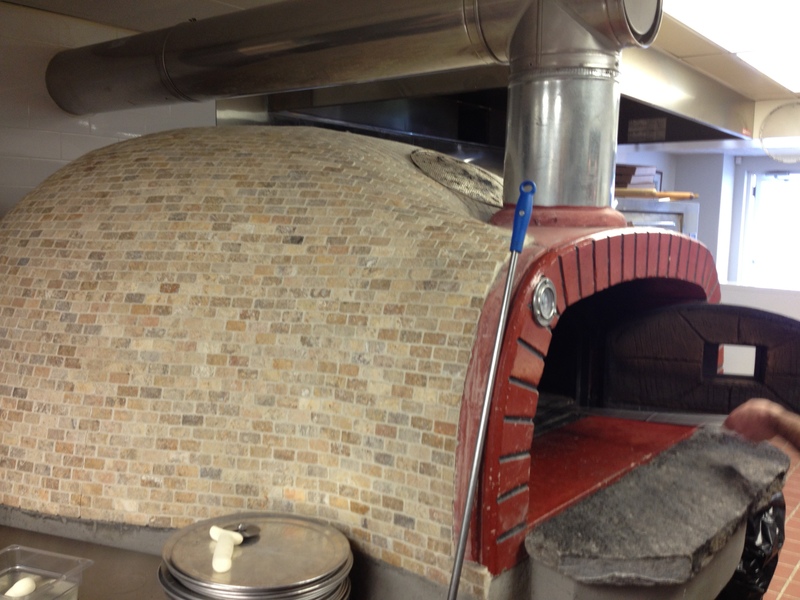 The brick oven is brought in from Italy and as the name implies the pizza is cooked at a roaring 850 Degrees. I started with wood fired clams with butter sauce also prepared in this oven. My party also tried two types of wood fired wings – hot and barbeque style. Very good. Loved the mozzarella triangles and fries in truffle oil with parmesan and basil. My daughter ordered the pasta fagiole soup and really enjoyed it. 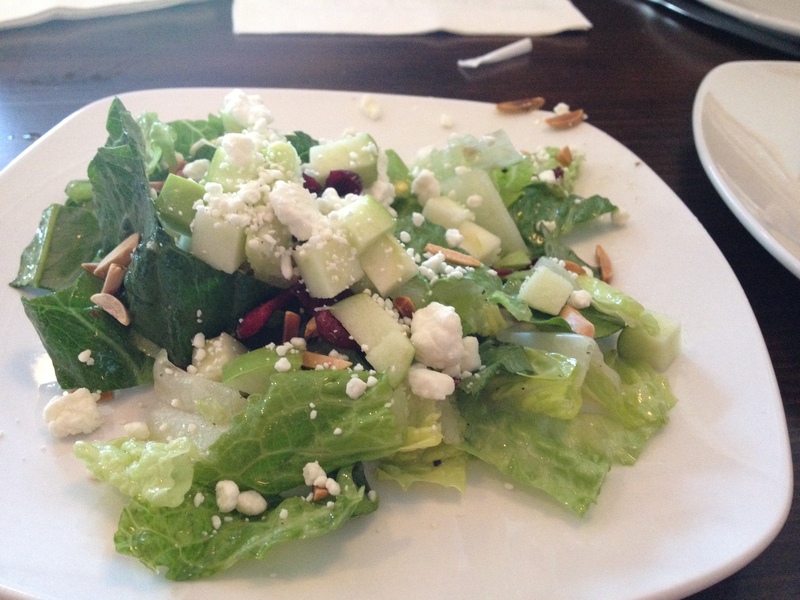 I had to try a salad and felt the baby romaine salad with apples, dried cranberries , almonds and goat cheese with white balsamic vinaigrette was something special and light. On to the pizza. There are three types: wood fired, extra thin (bar style) and traditional.We loved the traditional chicken parmigian , thin crust meatball pizza, but the wood fired with prosciutto, burrata cheese, arugula and balsamic glaze knocked it out of the park. amazing!! 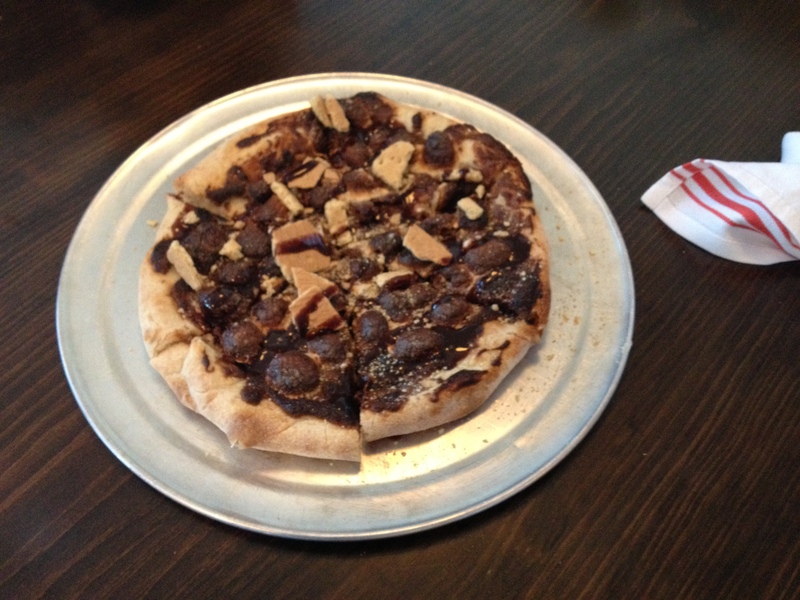 We ended with a smores wood fired pizza. Marshmallows, nutella and graham cracker crumbs. The kids will love this. The service is fantastic and always with a smile. Lovely change of pace for something unique and unusual. Don’t miss this hot gem. The restaurant is located down the narrow lane off Main Street and behind 50 Coins Restaurant. There is free parking available.